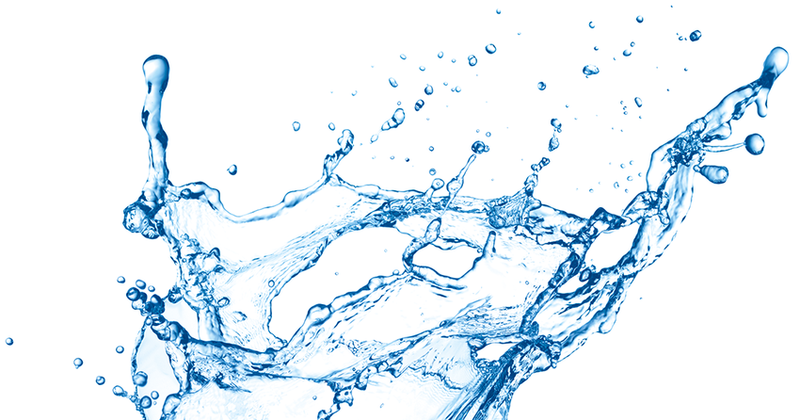 In a context of increasing awareness of the negative effects of global warming, consumers seek for more information on the environmental impact of the products they use. At present, different methodologies for estimating this environmental impact﻿ are used within Europe. This can mislead the consumer by creating confusion. Because the process of yeast production is very specific and because yeast accounts for a very small part, less than 1% in the production of bread, wines, etc, there was no reliable data available on yeast. 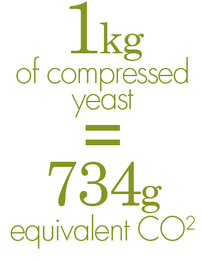 In order to contribute to build up the knowledge on that environmental issue, COFALEC has decided to commissioned a detailed study with PricewaterhouseCoopers (PwC) to established the Carbon Footprint of yeast. 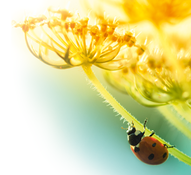 Life Cycle Assessment (LCA) methodology focusing on climate change impact and framed by the ISO 14040 and 14044 international standards. 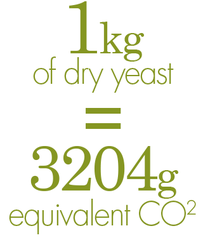 The Carbon Footprint of yeast was calculated using the data collected in European sites, which are typical of the European yeast industry. 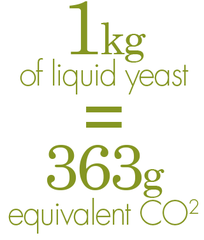 For each type of yeast, (liquid, compressed, dry), the global impact is expressed in grams equivalent CO2 per functional unit. The figures are expressed "as such". The contribution of the different steps of the production is detailed in the study.